Vivid Sydney is the largest festival of Light, Music and Ideas in the Southern Hemisphere. 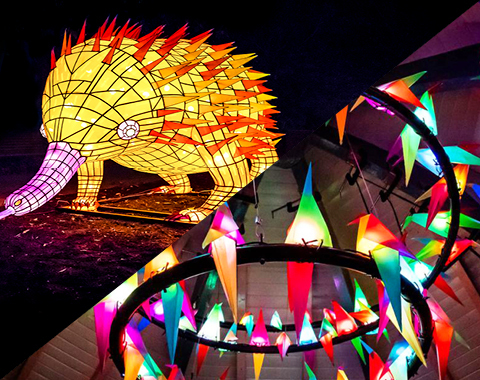 This year, Destination NSW launches Vivid School giving High School students in Years 9-12 the opportunity to meet artists behind the event’s acclaimed 3D mapped projections and light installations. 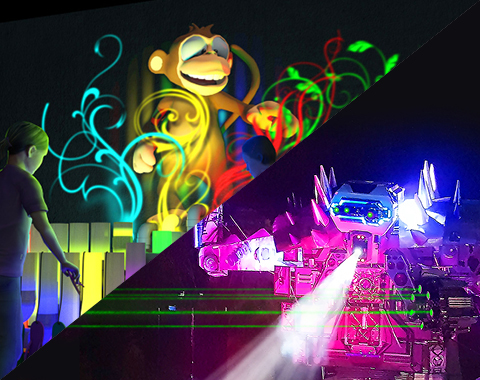 At Vivid School, students will learn about the processes involved in the light art production and find out about pathways to careers in the creative industries. 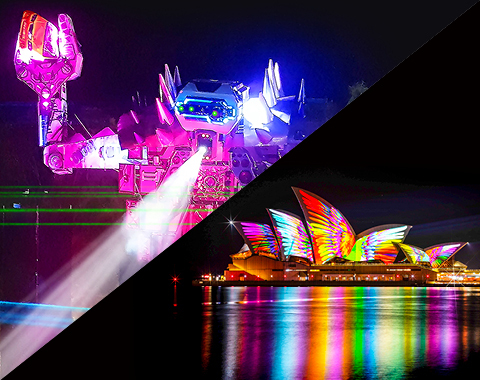 Vivid School provides students with unprecedented access to the artists, designers, animators, effects experts and technicians behind Sydney’s iconic building projections and light walk installations. These experts will share insights into their creative inspiration and the importance of collaboration. They’ll discuss how-to tips as well as their career trajectories, revealing how they built their skills and harnessed opportunities along the way. Vivid School allows students to learn more about the creative processes involved in imagining, designing and delivering light based artworks for this internationally renowned event. This vocational education program is a rare chance for students to discover avenues for further study and future employment. In its eleventh year, Vivid Sydney continues to evolve and prove itself as a leader in the field of creativity and innovation. By engaging with the next generation of artists, producers and designers, Vivid Sydney supports the growth of creative industries into the future. 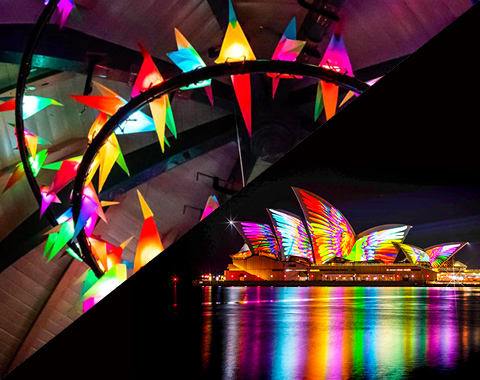 Hear from the professionals involved in Vivid Light 2019. Find out what dreams they had in high school, how they started out and what twists and turns their creative careers have taken to land them on the world stage of Vivid Sydney. Vivid School runs daily from Monday 27 May to Thursday 30 May 2019. Arrive from 9:15am for a 10am start. Each full-day runs from 10am to 2:45pm, comprising a morning session, lunch break and afternoon session. Click on the images below for full daily program information. Vivid School has been priced to encourage participation in this unique festival learning experience. High school student fee is only $35.00 per student per day. Accompanying teachers are admitted free of charge (maximum 1 teacher to 10 students). Placements are in high demand and are subject to a confirmed registration and ticket allocation. Once payment is received, there is a no refund policy for cancellations. Vivid School will be located at a suitable venue in the Sydney CBD. We will be in contact shortly to confirm details. Food and beverage is not provided by Vivid School. Please bring all required lunch, snacks and beverages. Water stations will be available to fill up water bottles. Teachers/Schools*, register for tickets to Vivid School for Year 9-12 students by Friday 3 May. Please note: This is not a confirmed booking. Registered Teachers/Schools will be contacted directly to confirm ticket availability and purchasing options. *Only teachers and official school representatives can register. As the Vivid School program runs on school days, direct student bookings cannot be accepted.